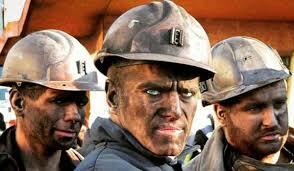 We, The Miners of Forza Nuova – Forza Nuova U.S.A. The man who intends to live in militanc y can not give in to discouragement, to the sense of ineffectiveness and powerlessness that would attack and assail anyone who sees before him a boundless enemy and not even be able to imagine an answer to their efforts. The desires, the tensions, the labors that do not have immediate feedback are really unnecessary? Or did they, at other levels, have some effect, perhaps mysterious and unfathomable at the time, as a seemingly unanswered prayer? As well as in heaven a warm air mass, no matter how small, slow down the path of frost, as well as from one witness to good, are born very high vibrations of Justice and Love, can our presence, albeit a minority, obstruct ‘ advanced hurt? “For some time living in me the firm conviction that the world nothing is lost altogether, nor of good nor evil, and sooner or later manifests openly that for a time, sometimes even longer, it remains invisible,” ” everything passes, everything remains “, sensed Florenskij, the Russian priest, philosopher and mathematician, who was killed in 1937 by the communist dictatorship. The action of the political soldier who currently fights the battle against chaos and degeneration, in favor of the survival of history, of blood, of the seed of its own people, it is a desperate action apparently unsuccessful or has a real effect, albeit hidden, like the work of a miner who digs a gold mine of which few know, until he comes with his wealth at ground level? We believe that it is: the militia not only as a witness, but as selfless action which in itself is sense and justification, that does not look at the result, but in a future time, although far away, the fruit still will take; militia as inescapable action, dictated by an imperious inner instance and therefore the same totally addictive; militia as an impersonal action because, under a system of generations, has his eyes fixed to the immutable and eternal truth that, however deeply buried, just waiting for those who want, with the hidden work, arduous and valuable miner, bring it to light.